We made mention recently on the site about Sony Music’s plans to release a physical CD single of Guy Sebastian’s latest track ‘Gold’. It was to feature the title track, an acoustic version of ‘Gold’, along with two new exclusive tracks in ‘Diamond In My Hand’ and ‘Dear John’. Today, however, Sony Music has confirmed with us that the tracklisting for the single has now changed, with ‘Dear John’ and the acoustic version of ‘Gold’ now out and two other previously unreleased tracks taking their place. 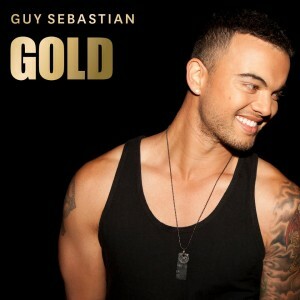 Will be heading to Guy’s concert at Cessnock when the physical single is release. Hope it’s available at Cessnock! Disappointed that the acoustic version of Gold has been dropped from the track listing. Was really looking forward to getting my hands on it. Such an awesome song!